As Fall migration continues on with some outstanding birds reported all over the State of Ohio, as usual us birders in the Southwest corner have to rely on traveling to scope out the better birds. We have a high concentration of birders in the Tri-state area, who know how to use social media with great efficiency. If something unusual is sighted, it’s out on the World Wide Web pretty quickly. 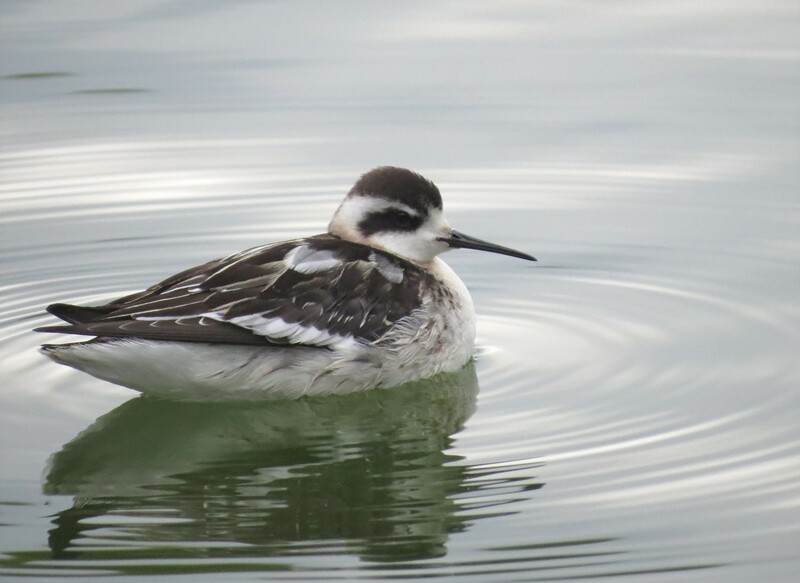 So it came as a surprise when I read that a Red-necked Phalarope has been seen on Mirror Lake in Eden Park since Wednesday. WEDNESDAY! 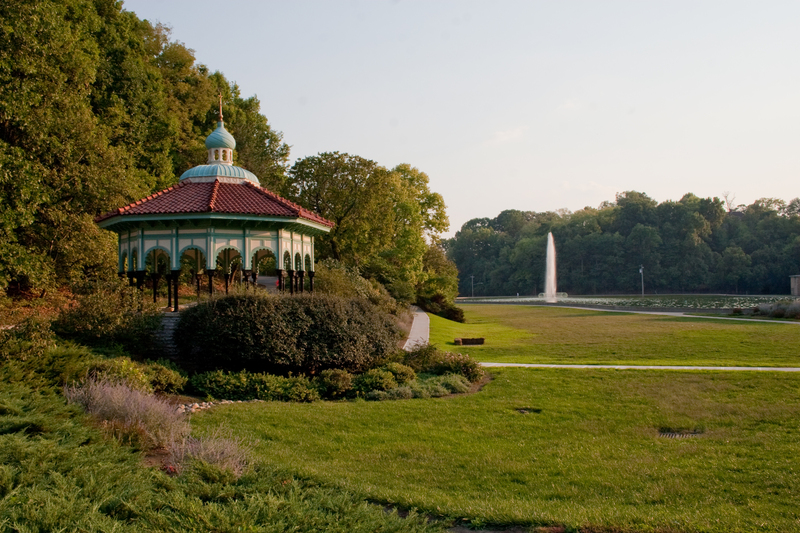 Here’s a photo of Mirror Lake with the Spring House Gazebo. The 186 acre tact of land was purchased from Nicolas Longworth in 1869, which he used as a vineyard. Underneath Mirror Lake is a reservoir, and the top is a concrete lined shallow pond. During the winter when it freezes over people will use it for ice skating. Paved sidewalks all over the park make especially popular with dog walkers and joggers. 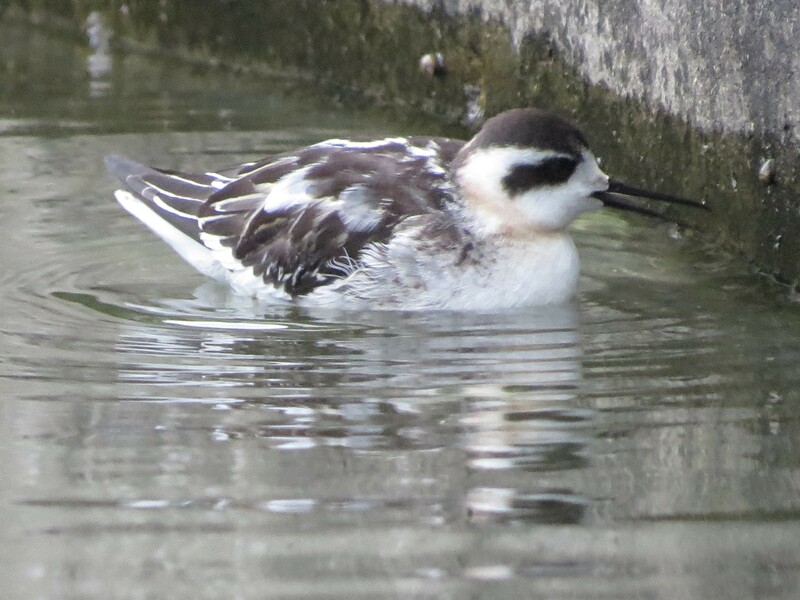 Which explains why the Phalarope was so approachable. 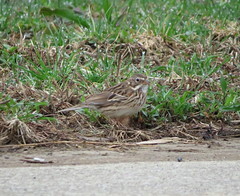 A park employee noticed the bird a day or so ago from comments made by joggers who observed it during their daily run. So the park employee called a prominent birder in the city. And with that call the whole chain reaction help boost this bird to being our own celebrity. 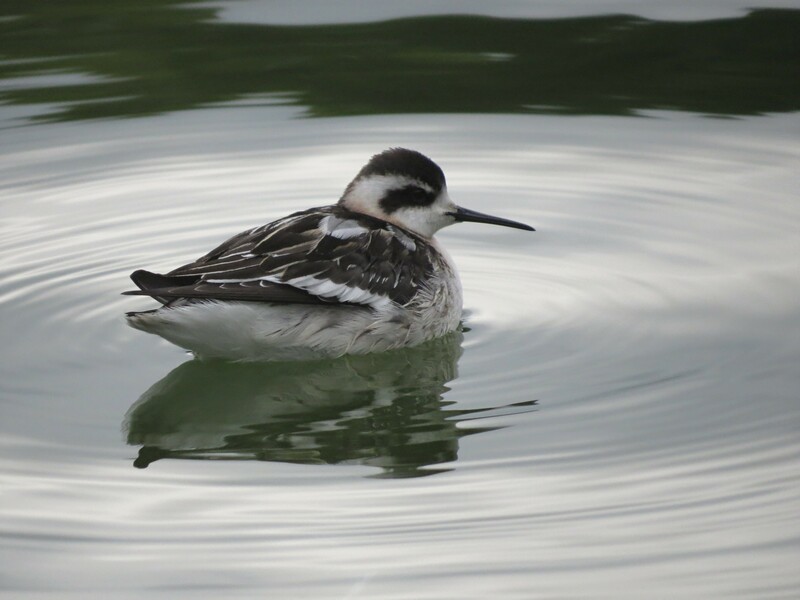 A pretty small wader at only 7.8″, the Red-necked Phalarope breeds throughout all of the far northern reaches of North America. From Alaska towards Hudson Bay and points Eastward. And on a very rare occasion they will show up in our neck of the woods, as the below photo will attest to. 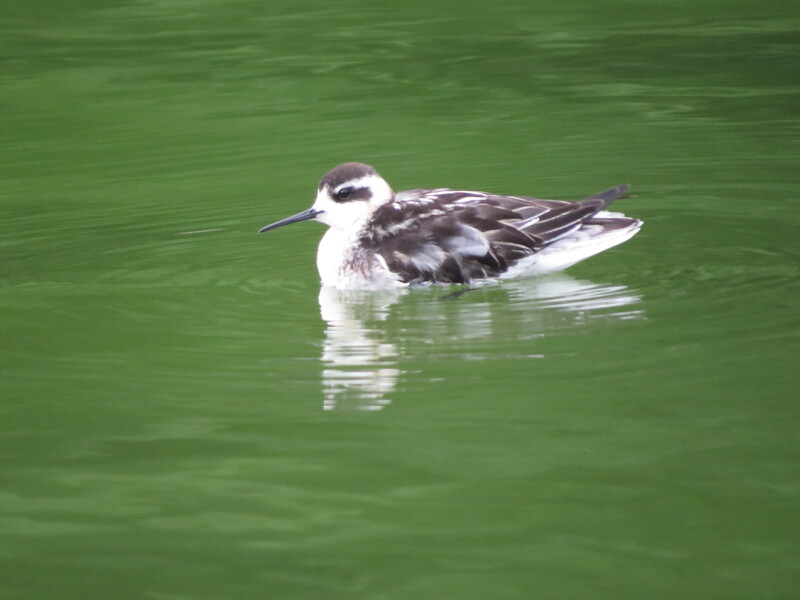 On August 8th, of 2012 I drove to Lost Bridge to digiscope this Red-necked Phalarope. 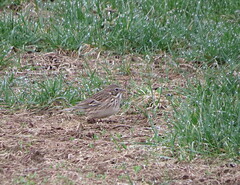 A life bird for me at the time, this heavily cropped photo is enough to provide a positive ID, and that’s about it. 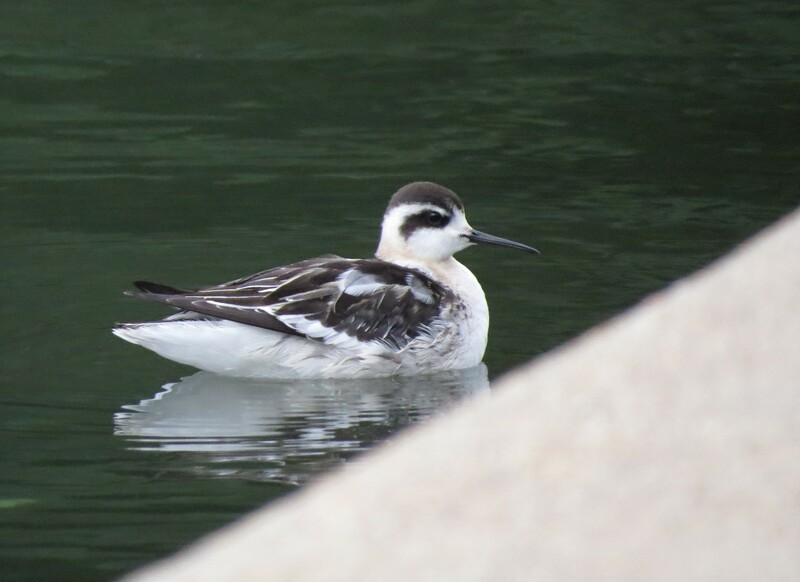 So yesterday morning while reading Cincinnati Birders facebook page, the sighting reported by birding friend Kathi Hutton that the bird was still there at 0730 was all I needed to get that “twitch” going. 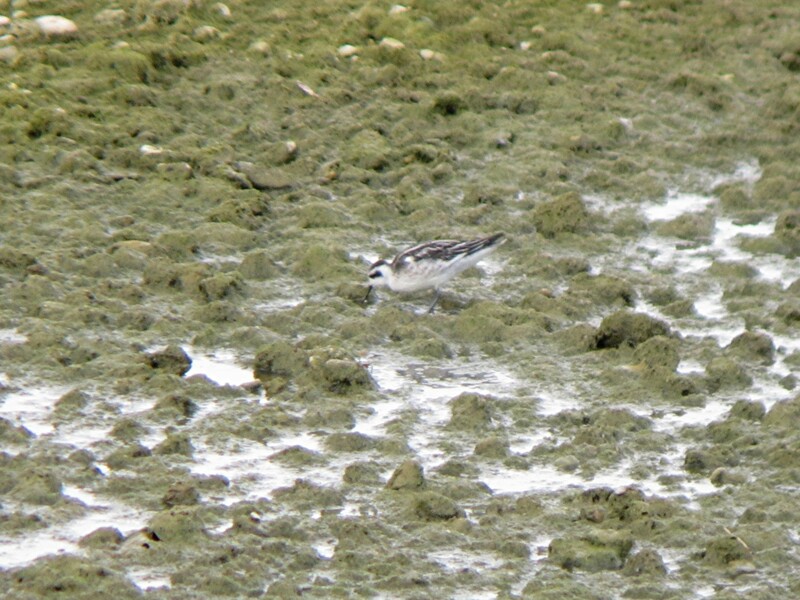 So last minutes changes in my plans for the day gave me several hours to drive to the city and find the bird. Which really wasn’t too difficult considering the crowd of birders and photographers it drew. And considering how approachable the bird was, very photogenic. I left a little bit of the concrete retaining wall for Mirror Lake in the photo to show how close we were able to get to the bird. The reason it was so close to the wall. It was feeding as this photo shows. For me, this was the money photo. I only wish there was a little more sunshine. 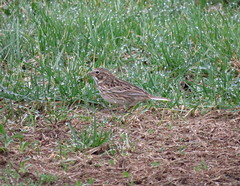 One of the concerns of the group of birders present was the condition of the bird. The bird was able to fly as I was able to witness. However later in the day the thread of Facebook was a birder noticed one of it’s legs was dangling behind as it flew. Now my hope is that it will recuperate while here, then fly away for the Winter.